When glass in windows is subjected to double glazing to prevent heat from escaping, the result is thermally insulated and energy efficient windows. 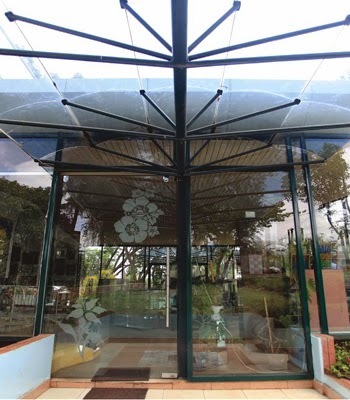 At Impala Glass Industries, Kenya, low emissivity or low-e glass is a combination of toughened safety glass, wide spacer bars, argon fill sealed units and low-E coatings which absorbs the heat from the inside of the building and radiates it onto the colder outside surface, where it is lost. This low-e coating actually reflects the heat back into your room. Filling the gap between the glass panes with a low-conductivity gas such as argon improves window performance by reducing conductive and convective heat transfers. At Impala we manufacture eco-friendly, double glazed glass for windows, doors, conservatories and rooflights which is ideal to help keep the heat in, save money on energy bills and play your role to protect the depleting ozone layer. Engineers, architects and designers prefer Impala’s eco-friendly double glazed low-e glass for homes and offices, as well as buildings with a high proportion of windows or glass doors, especially north or east facing windows. Soreduce the amount of energy lost through your windows by up to 75%! The smarter, eco-friendlier and cost-efficient option is always Impala Glass Industries’ double glazed glass units. To view our complete range of glass products log onto impala.co.ke. I completely agree with your blog, its really good idea double glazing to prevent heat from escaping.